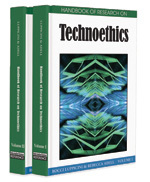 In assessing the ethical implications of genomics and biotechnology, it is important to acknowledge that science, technology, and bioethics do not exist in a vacuum and are not socially, politically and ethically neutral. Certain technologies have a greater social impact, may require the State to intervene in the private sphere, and may be differentially accessible to users. Also, science and technology can change our relationship with other people and with our environment. Hence the importance of ethnographic, historical, and cross-cultural studies for the analysis of today’s thorniest bioethical controversies. This chapter discusses some of the most controversial issues surrounding the use of genetic technology in human procreation and gene patenting, including eugenics, genetic consumerism, animal-human hybrids (chimeras), the commodification of life, disability and genetic testing. (Oscar Hertwig, German cell biologist, 1849 – 1922). The term “eugenics” was coined in 1883 by Sir Francis Galton (1822–1911), after the Greek εύγενής, meaning “wellborn”. The logo of the Third International Congress of Eugenics, held in New York in 1932, defined eugenics as “the self direction of human evolution.” Negative eugenics was concerned with the elimination of inheritable diseases and malformations and involved prenuptial certificates, birth control, selective abortion, sterilization, castration, immigration restriction and, in Nazi-occupied Europe, involuntary “euthanasia.” Positive eugenics would instead encourage the propagation of desirable characteristics via tax incentives for “fit parents”, assortative mating and, in the years to come, cloning and germline engineering. Hyperparenting: A form of child-rearing in which parents become too involved in the management of their children’s lives. Base Pair: A structure made of two complementary nucleotides (strands of DNA molecules) joined by weak hydrogen bonding. The base pairs are adenine (A) with thymine (T) and guanine (G) with cytosine (C) for DNA and adenine with uracil and guanine with cytosine for RNA. This is where genetic information is stored. It is estimated that the human genotype contains around 3 billion base pairs which, together, give DNA its double helix shape. Germplasm: hereditary material (chromosomes and DNA) of living organisms. Sometimes it is also the name given to a species’ “genome”, namely the entire repertoire of that species’ genotypes. Chimera: Legendary creature with a lion head and chest, the belly and a second head of a goat, and with a serpent for a tail. In biology and genetics, a distinction is drawn between mosaics, that is, those plants and animals that contain different sets of genetically-distinct cells (e.g. humans with mismatched eyes, but also serious genetic conditions such as Turner’s syndrome) deriving from a single zygote, and chimeras, whose cell populations originated from more than one zygote. Animal chimeras are routinely experimentally produced, whereas the creation of part-human, part-animal hybrids (parahumans) is currently unfeasible and illegal. Germline Engineering: The genetic modification of individuals whose alterations will be passed on to their progeny. It involves altering genes in eggs, sperm, or early embryos, by insertion (e.g. of artificial chromosomes), gene deletion or gene transposition. Reprogenetics: The combination of reproductive medicine and biology and genetic technologies. Embryonic stem cell research, the alteration of select genes, as in germ line therapy and in the genetic manipulation of early embryos, cosmetic gene insertion, human embryo cloning, and embryonic pre-implantation genetic diagnosis (PDG and IVF) are reprogenetic techniques. Preimplantation Genetic Diagnosis (PGD): Cells taken from embryos created through in vitro fertilization (IVF) are examined in a Petri dish. Embryos carrying harmful and lethal mutations are discarded and only “healthy” ones are subsequently implanted in her mother’s uterus. Human Cloning: If it were legal, reproductive cloning would be used to create children who are genetically identical to a cell donor. At present, it would be a very expensive procedure with a staggering rate of failures (about 90%). Therapeutic cloning refers to the creation of identical embryos and tissues in order to harvest stem cells for research and transplantation purposes. There are two main cloning techniques: (a) by embryo splitting (also known as artificial twinning, because it occurs naturally with identical twins): an embryo is split into individual cells or groups of cells that are then artificially prompted to grow as individual embryos; (b) by somatic cell nuclear transfer (SCNT), which is done by transferring genetic material from the nucleus of an adult cell into an enucleated egg, that is an ovum whose genetic material has been taken away. This is the technique used to generate Dolly the sheep. Mitochondrial DNA (mtDNA): The portion of the maternally inherited cell DNA which is contained in the mitochondria, tiny organelles that generate energy for the cell by converting carbohydrates into energy. Attention Deficit Hyperactivity Disorder (ADHD): Is a mental condition affecting children and adults and is typified by inattention, hyperactivity, and impulsivity. Hundreds of scientists and medical professionals in both North America and Europe claim that there is no clear evidence to support the existence of ADHD and contend that most cases fall within the normal range of variation in human behaviour. In Vitro Fertilization (IVF): An assisted reproductive procedure in which a woman’s ova (eggs) are removed and fertilized with a man’s sperm in a laboratory dish (the Petri dish). Each IVF cycle is very expensive and has a success rate of no more than 30 percent. It is estimated that there may currently be about half a million IVF babies worldwide.